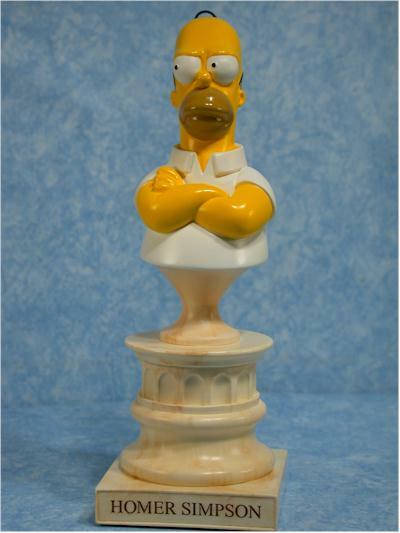 Sideshow Toy has given Simpsons collectors another line of merchandise to add to their shelves - polystone mini-busts! 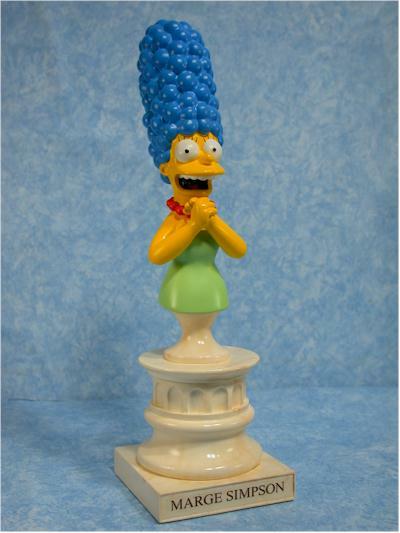 The first series of busts is shipping very soon, including Homer, Lisa, Marge and Bart. Don't expect a Maggie any time soon, as her small size has made it difficult for them to come up with a way to include her. 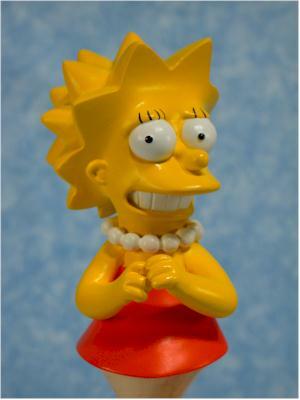 Future figures include Moe and Mr. Burns in series 2, and the Comic Book Guy and Apu in series 3. Also planned is an on-line exclusive of the Comic Book Guy as The Collector. The regular busts are limited to 5000, but The Collector will only be a 500 run. Each of these busts retails at Sideshow for $35. You may be able to find them on-line at other retailers for better prices, but it may take a little searching around. The packaging fulfills the number one requirement - it keeps the bust nice and safe. 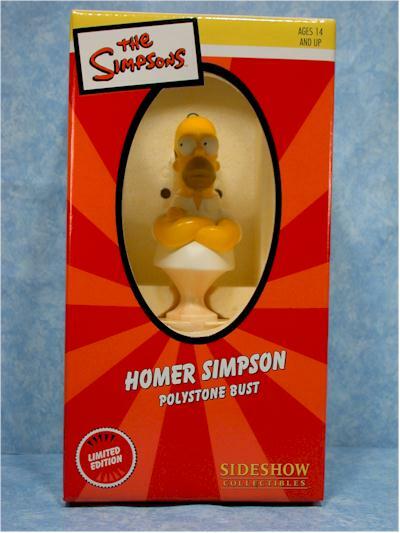 It also shows off the bust through a window, rather than being a solid box like so many used for this type of product. The graphics and text are a bit dull, but overall the package does what it needs to. Not of the sculpts are poor, or badly done. They all are clean and smooth, with just the right amount of detail. Some folks will be surprised by this high score in this category, but I'm not including the selected poses or facial expressions. I'll cover that in Design, and differentiate between the better and less appealing in this first set. Something that will take you by surprise if you haven't seen these in person is the size. I can tell you that they are smaller than you'll expect, but until you actually see them it's hard to explain. 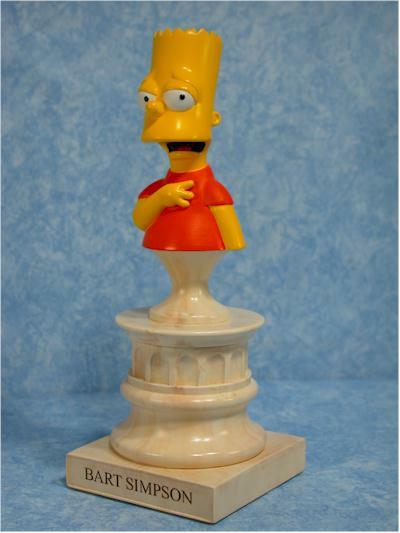 In scale, they are very much like World of Springfield figures cut in half and put on a pedestal. I've included a photo at the end to give you some idea. The paint schemes on the Simpsons characters are not complicated, and they don't call for a lot of detail, but the work here follows all the requirements - it's clean, it matches the show, the colors are consistent, and the edges between colors aren't sloppy. The entire wave takes a hit in the design category right out of the gate - the pedestal. 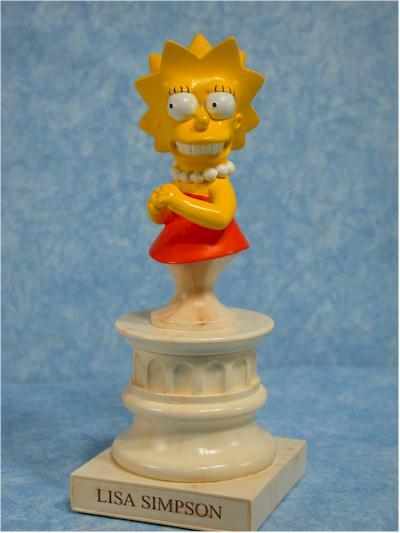 This is the same style pedestal that we have under the Muppets torsos, but it works a little better there. At least with the Muppets, the column base fits in with the theater theme. Here, they make no sense. It's not entirely Sideshow's fault though, as they approached FOX with other ideas, including the Nuclear Power Plant stack, but were shot down. The only positive about the column is that if you're buying the Muppets, there's some consistency between the two. The other major design consideration is the pose and facial expression of each character. Here's where there's some big differences. 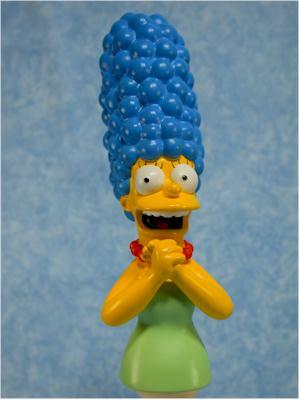 Marge is my clear favorite, and her happy 'surprised' expression is a nice change from most other Simpsons product. It also fits her character nicely, and looks great. Homer and Lisa fall somewhere in the middle. While both expressions fit the characters, neither is a real standout. 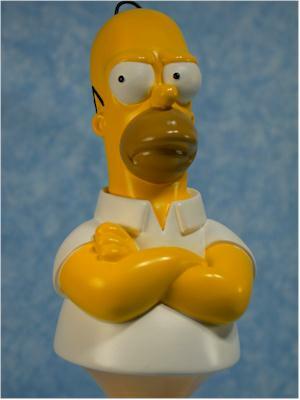 Homer is an angry, pouting version, while Lisa looks nervous. Neither looks like a zombie though, which is so important with this license. Because of the big eyes, and simple design of the cartoon, the characters often come off looking like extras in the Thriller video. Here they have personality, even if the choices aren't all my favorites. Bart is the least exciting. He has a fearful or worried look, and it really doesn't work for him. He also is missing one hand, while the other three all have both hands. It's not a huge deal, but I prefer the busts to have consistency in their style, including the arms. 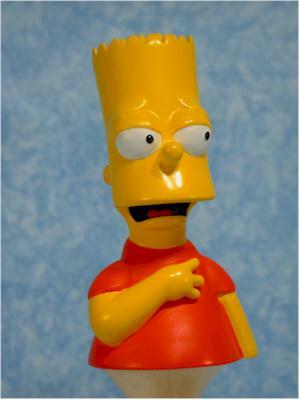 These busts have the same excellent quality as the other Sideshow/WETA work. The name of the artist, along with the edition number, is included on the bottom. The bust feels a little lightweight, but that's because they aren't very big, not because they are cheap. The value isn't terrible, but at $35 each many collectors might balk. The Muppets busts are larger, and run between $50 and $60, so the price isn't way out of line. 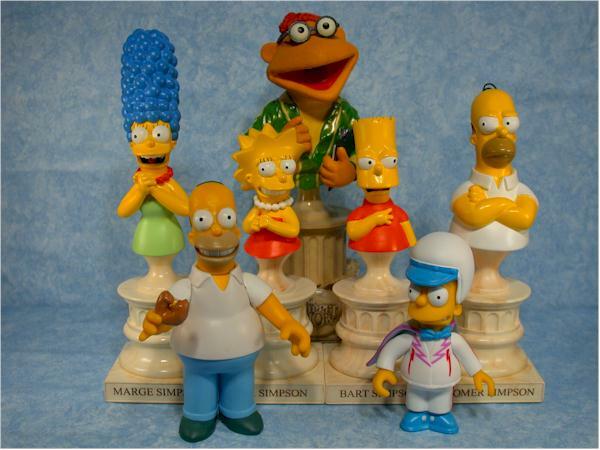 The smaller size will get them into more collectors budgets, and also conserve space, because you can believe me when I say the Muppets busts really take up the shelves! I wish the first series hadn't been the entire family - I'm much happier with what I've seen with characters like Apu, Moe and CBG. Sideshow probably felt they needed to get these out first, but it might have been prudent to mix things up a bit, and only release one or two family members now, and then one in each successive series. Still, I'm glad I have these, and am really looking forward to the upcoming assortments. I've included photos of CBG and the Collector at the end of the review, just to wet your appetite! - Sideshow has the set for $35 each. They don't have a packaged deal like the Muppets line at this point.